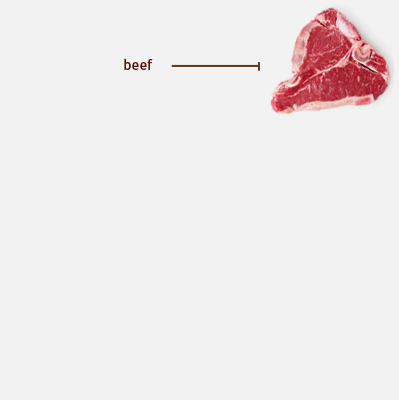 Nothing but real, raw freeze-dried beef. 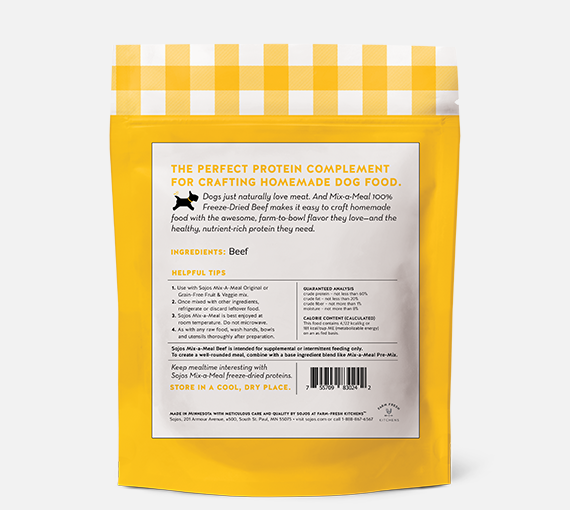 The perfect protein complement for crafting homemade dog food. Dogs just naturally love meat. 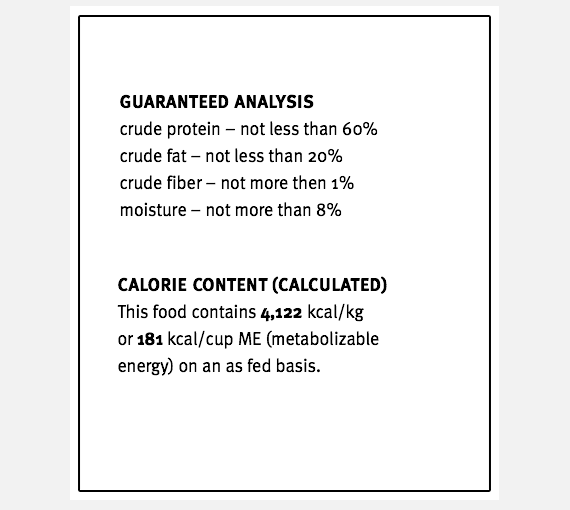 And Mix-a-Meal 100% Freeze-Dried Beef makes it easy to craft homemade food with the awesome, farm-to-bowl flavor they love—and the healthy, nutrient-rich protein they need. 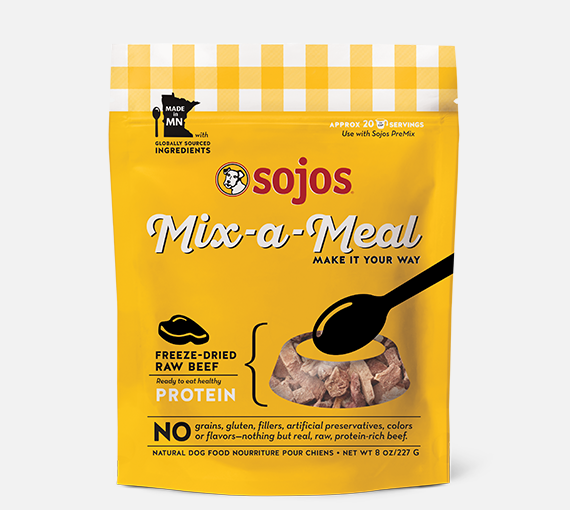 Sojos Mix-a-Meal Freeze-Dried Beef is formulated for supplemental or intermittent feeding only. 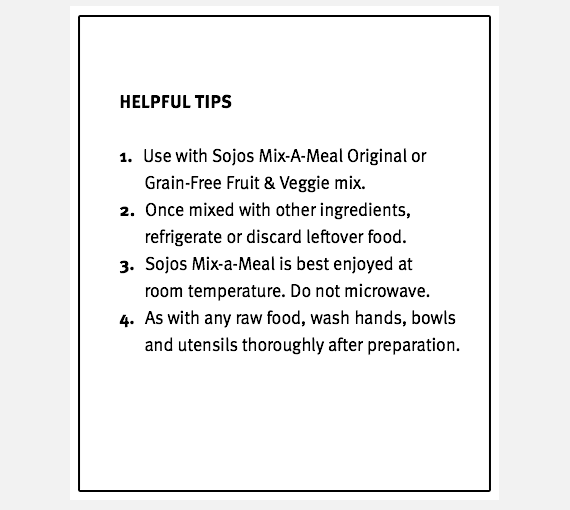 To create a swell-rounded meal, combine with a base ingredient blend like Mix-a-Meal Pre-Mixes.